However, this post is not about cheese nor does it even contain cheese in it! 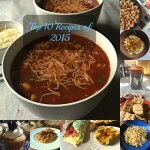 (It is still a great recipe I promise!) 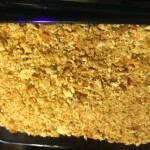 Today’s recipe I took from my Grandma-in-law’s(Nanny) squash casserole! I am telling you even the pickiest eater will eat this beautiful creation! 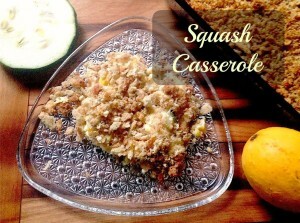 I am not a fan of squash at all (however, I like zucchini) but this casserole is perfect and I will add both zucchini and squash to it (some people call zucchini green squash). When I came home from the mountains nanny gave me a zucchini the size of my arm! I am not even kidding you! i wish I still had the picture to prove how large this thing was! I still have about 1/2 of it left! So any zucchini recipes are currently welcome at this time! I was also able to pick quite a few squash too and I gave a few of those away to my mom. I just love have garden fresh vegetables to make my food with like this or shred them up and make yummy sweet bread and muffins! 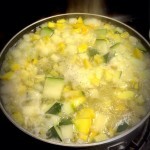 6 cups of Squash (zucchini and yellow squash) cubed small. 1/4 cup Chopped Onion (I put mine in my food processor). 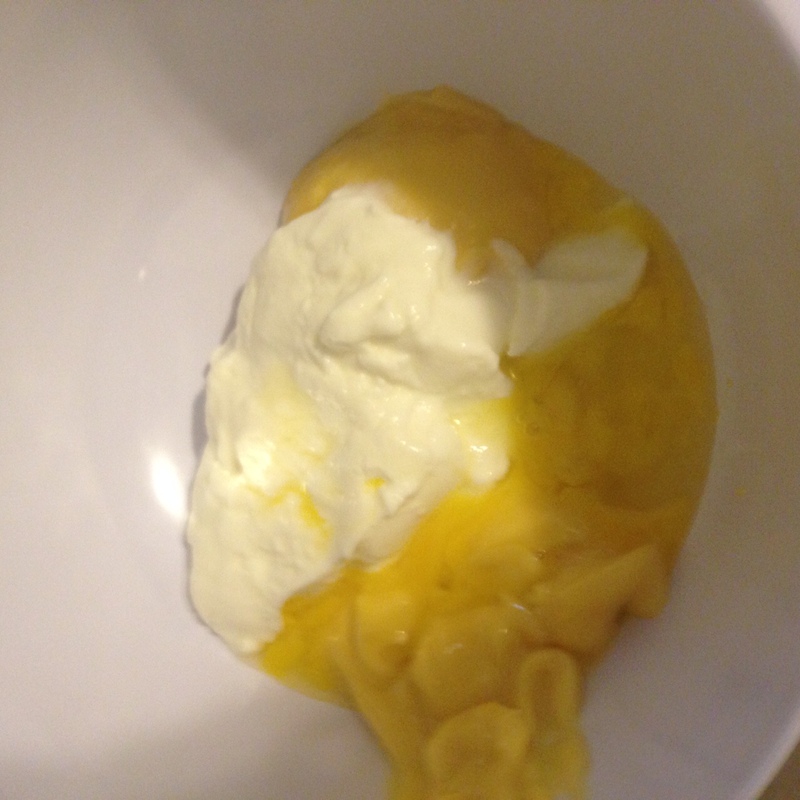 1 cup Sour Cream or plain yogurt (I used Yogurt). If you are vegan and have a vegan substitute go for it! Cube your squash and chop up your onion. Boil your onion and squash for 5 minutes. Then drain well. 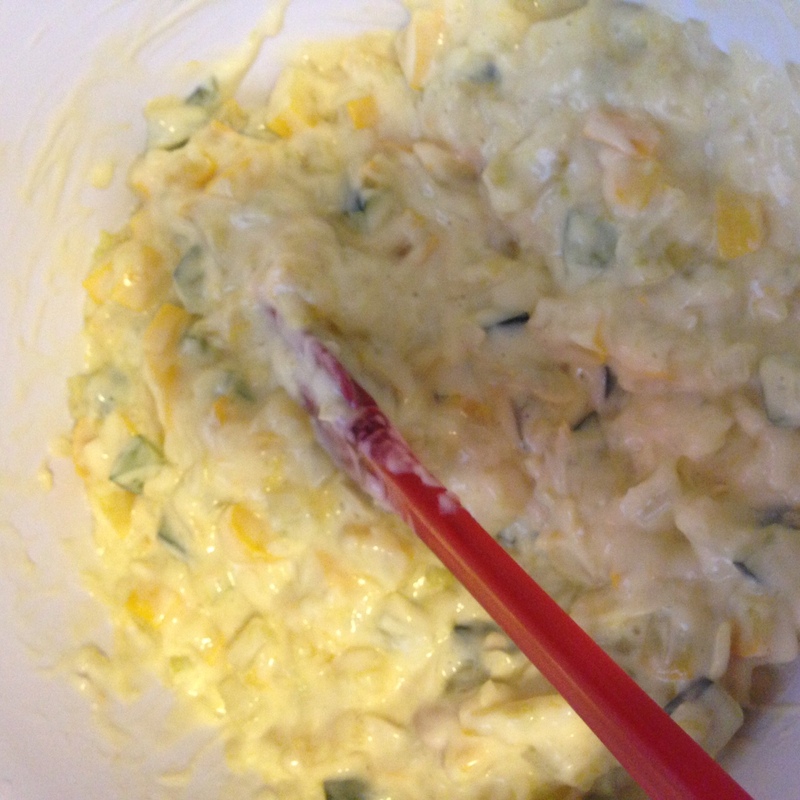 Mix together your sour cream, chicken soup,and egg. Fold in your squash and onion. 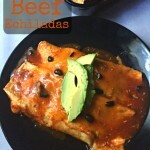 Place in a 9x 13 pan that is well coated with nonstick spray. 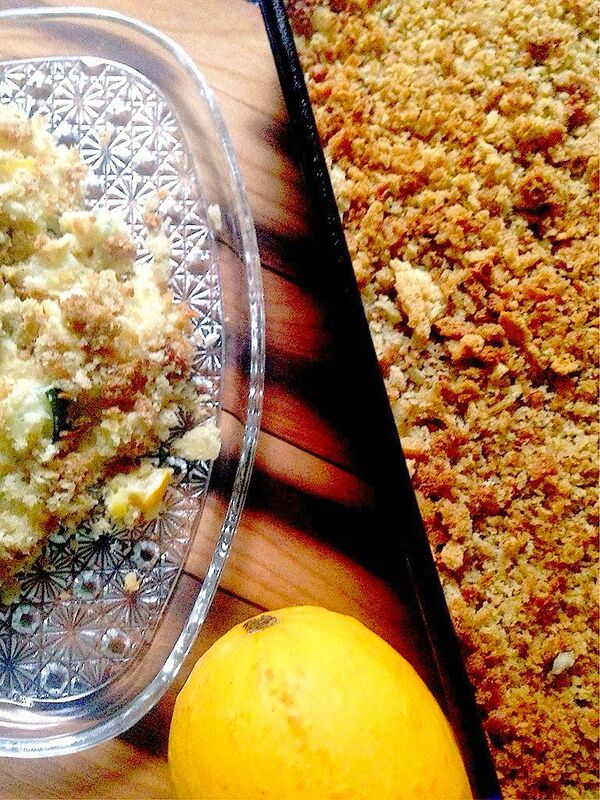 Mix together your stuffing and your melted butter (or coconut oil) and layer on top of your squash mix. 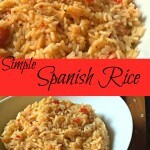 Bake for about 30 minutes and serve! 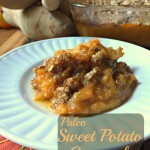 A delicious side dish perfect for any occasion and any meal! Cube your squash and chop up your onion. 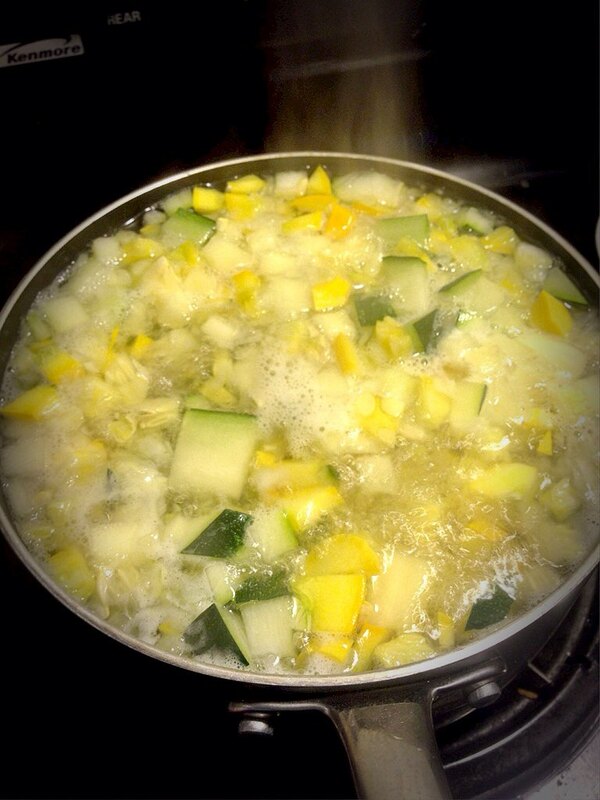 Boil your onion and squash for 5 minutes. Then drain well. I eat this beautiful casserole every time we go up the mountain to visit. It is a great dish serve because well it is that good!If you want to make it for Thanksgiving or Christmas you can simply cube your squash and then freeze it a freezer bag! Just thaw it out when you want to make anything with it. 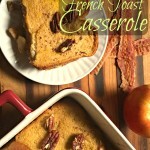 This casserole is a perfect side dish for just about anything and is great as leftovers too. 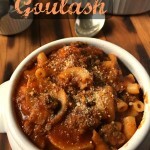 And this is the perfect casserole to get those picky eaters to eat a yummy casserole that they just can’t turn down! 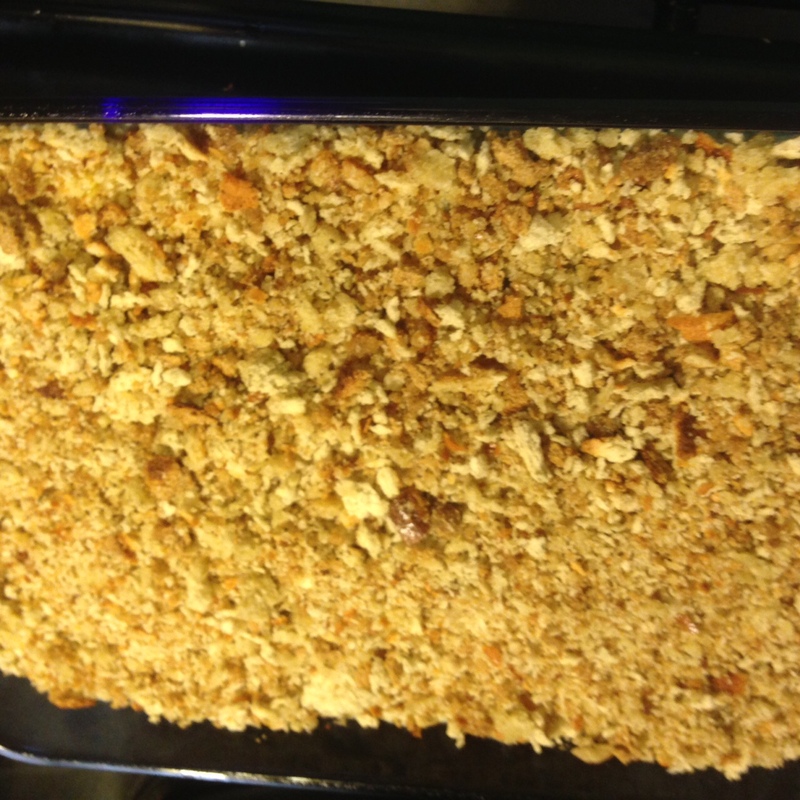 The stuffing on top is seriously my favorite part! You cannot not have it! It is like the icing on the cake! Don’t forget to follow along with me on Instagram (@notshabbygabby), Twitter (@Not2ShabbyGabby), Pinterest (@Not2ShabbyGabby) and Facebook! I love to here from you all and what you all think of especially with new and exciting ways of using my recipes so tag them #not2shabbygabby and I will see it! I hope you all have a blessed hump day! Looks like a delicious recipe! I love using produce from the garden too (but leave the gardening to my husband!!). 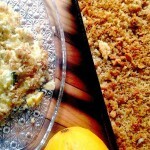 I love the idea of using stuffing on the top. Visiting from #WAYWOW. This does look delicious! Seriously. I need to find a gluten free and vegetarian cream soup. LOL Now the teen is going vegetarian, she’s done really well with it, but the menu sure has changed around here! I’m sure I can pull this off and it would fit all of our diets and fill our bellies with fresh produce! Thanks for sharing with #WAYWOW, hope to see you on Wednesday! I actually have a recipe for a gluten free cream of soup and instead of using chicken stock I use vegetable stock or beef stock what ever I need! I went vegetarian for about a year and before that I hated all things that weren’t french fries or chicken nuggets. I feel so much better now because I got myself to eat more veggies and find more options that I actually liked! Mmm yum. I like almost anything with squash. 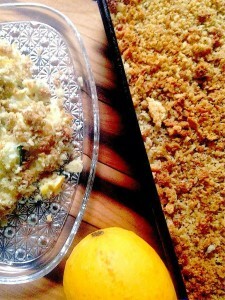 Then this squash casserole will not disappoint! I have loved since first bite! food always tastes better when Nanny does it!